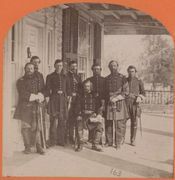 CIVIL WAR Stereoview of "General I. I. Stevens and Staff, Beaufort, S.C. March 1862". General Isaac Ingalls Stevens was put in command of the 79th NY "Cameron Highlanders" as Colonel early in the war. They were stationed at Port Royal. His command was transferred to Virginia and put in the IX corps under General John Pope. At the Battle of Chantilly he picked up his fallen Regimental colors and shouting "Highlanders, My Highlanders, follow your leader". During this charge he was shot in the temple and died - September 1, 1862. Prior to the war he graduated 1st in his class at West Point 1839. He later served as a congressman and was the 1st Govenor of the Washington Territory 1853-1857. Great Condition, clear photo with no soiling. 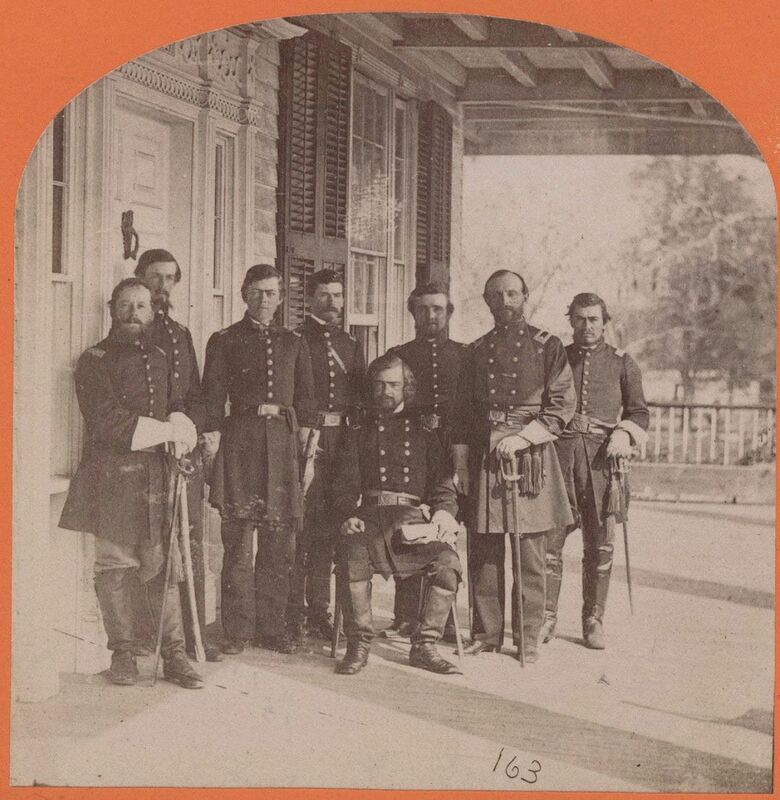 This is Taylor & Huntington Civil War stereoview #163.